Storage space clean out tips. Talk about a dull subject. There’s certainly nothing exciting about storage space clean out, but, it’s something everyone who rents these spaces must do at some point. Much like a basement or total attic clean out, there are a few ways to make the job less daunting. Too often a storage unit slowly and unintentionally transforms from a temporary solution into a long-term expense. The longer you rent it, the more you’re tempted to put inside to justify spending the money. When you’ve had enough and don’t want to spend any more, there are some helpful storage space clean out tips you can use. 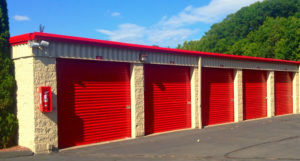 When it’s time for self storage cleanout, you want to work as efficiently as possible. Additionally, you want to avoid any unpleasant surprises. So, when you start the cleanout, do take everything out. By doing this, it motivates you to purge because it’s less work. Also, take the time to sweep the space clean and do not leave anything behind. If you do, you might violate the terms of the lease. Also, you should alert the facility to your intentions to quit the lease before it’s time to renew. If you don’t, you might get caught off guard. Furthermore, pick weekend and check the forecast. This way, you can work uninterrupted and clear out the space entirely. Organize everything. Organization is key because you’ve simply got to know what you’re dealing with in the first place. Pull every item out and make a list of what’s there. Then, you can easily decide what you’ll keep and what can go. Identify what stays and what goes. Now, it is real simple to identify what you want and should keep and what’s not all that important and needs to go. This will help you pare down what you keep so you can accommodate it in your home rather than having to rent extra space. Purge by donating and selling.Next, you can donate and sell as much as possible to seriously lighten the load. Remember, the more you offload, the better. If you need a storage space clean out service, just phone 800-433-1094 or visit Junk Garbage Removal.